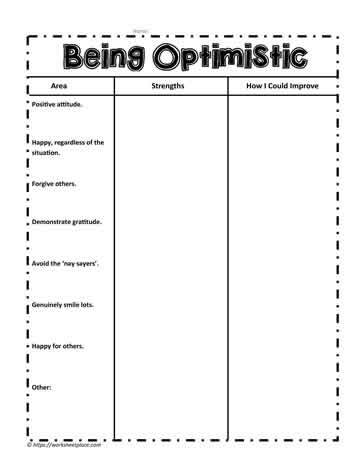 What are your strengths and goals for the character trait optimism? A positive outlook helps with academic success. Great worksheets and teaching ideas for teaching about character.